Meccano had the tag line – “your hobby is for a lifetime” and for many it was. It was always rewarding, but a lot more work than Lego – Today we take a nostalgic look at Meccano. For over 100 years it’s been around pleasing sons and fathers alike. But how did it all start. Initially “Mechanics Made Easy” was a model construction kit consisting of perforated metal strips, metal plates and girders, shaft collars and axles for mechanisms and motion, and nuts and bolts to connect the pieces in 1901 by Frank Hornby. By 1908 Frank Hornby registered the Meccano trade mark, and formed Meccano Ltd.
Every school boy is familiar with the Meccano sets and how they were numbered. Initial sets were numbered 1 to 6. Meccano Set 7 was released a few years later. Of course Meccano was often the boys alternative to Lego. more pricey but certainly more manly. 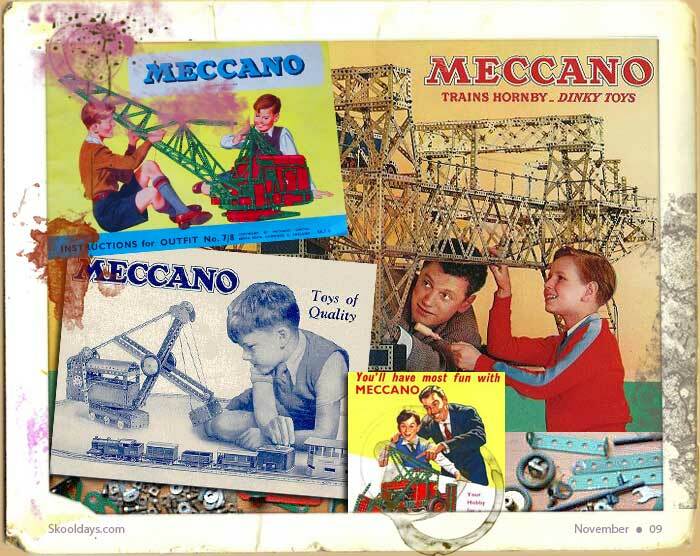 Frank Hornby is still associated with Meccano all these years later and enthusiasts worldwide have formed many clubs and websites. Newsagents still have magazines on shelf’s such as Constructor Quarterly, The International Meccanoman and the ModelPlans series of instructions. Most fathers normally will find at least one occasion to buy and build a Meccano set with their sons. 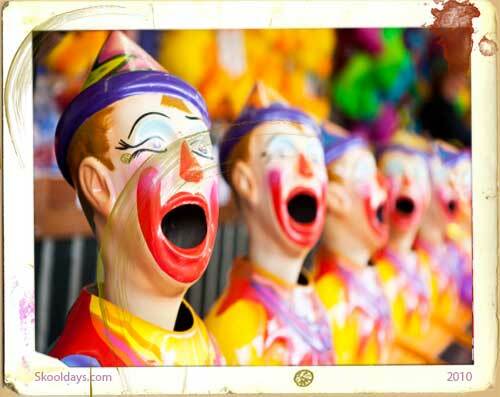 This entry was posted in Toys and tagged 1900, 1910, 1920, 1930, 1940, 1950, 1960, 1970, 1980, 1990 by Skooldays. Bookmark the permalink.